Living the Thrifty Life: Strider PreBike Giveaway! What a neat product! I know a lot of kids who would LOVE to have this bike! Not only is it simple to use, very easy to assemble, but it is fun to ride! I entered the giveaway at The Simple Things to win it, you should too! The contest ends 30 November 2010 @ 2359 PST. 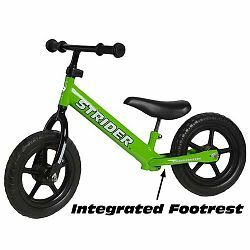 For more information about the Strider PreBike, visit Strider's Website! Also, please enter the giveaway by following the link HERE! Hi! I'm a new follower from the Friendly Wednesday Hop!